I just haven't yet gotten into bronzer and the whole contouring thing; I apply my beloved blush and some highlighter and I'm good to go cheek wise. I think what puts me off is that bronzers are often either too dark or too orange, which isn't a good look for a super pale gal like me. I also can't buy one off the high street because generally high street powders contain talc and for me talc equals breakouts. (This means I miss out on The Body Shop Honeycomb Bronzer, which looks like the ideal shade - sob.) If you can recommend an affordable bronzer for pale skin from a natural brand, please let me know in the comments! I have zero red lip confidence. I do have a couple of red lippies that I've used for fancy dress outfits (it's not the same when you're dressed up as someone else - right? ), but I'm not even sure that they're the right shade for me! I'm also a little paranoid that a bold lip makes my thin lips look even smaller, so I just to tend to avoid. I don't think bright eyeshadow will ever be "me". All my single eyeshadows and palettes are neutrals in varying shades, formulas and finishes. I once won a Technic eyeshadow palette full of bright neon shades and I ended up passing it onto a friend - after 6 months of having it I'd hadn't even swatched it!! By this I mean proper tan as opposed to gradual tanning lotions, which I will use. This is partly me being lazy - I really can't be bothered with it. Plus I won't use fake tan on my face as I'm too worried about breaking out from it. I've basically come to the conclusion that for me being pale and proud is the way forward - I'll just take the edge off it with a gradual tanner in the summer when I need to get the milk bottle legs out! I have to be honest - waxing SCARES me. I'm sure it's not really that bad... but hand me a pain-free razor any day. Maybe if I had it professionally done by someone trained I would be converted, but I'd rather use the money it would cost on something else... You can tell I'm not really convinced here!! 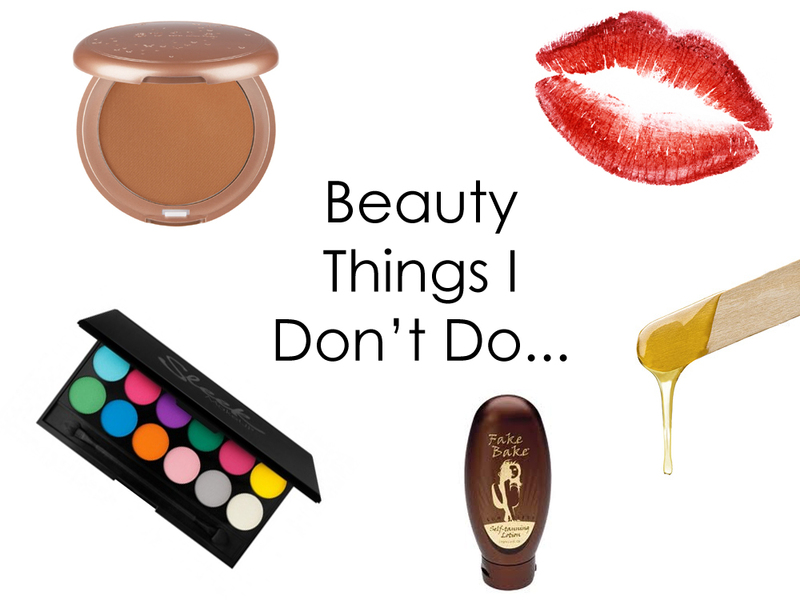 What beauty things do you avoid? Are you with me on any of the above? I'm totally with you on the fake tanning front. I use Palmers gradual tanning lotion in the summer and that's enough effort for me! Pale and proud is the way to go! You need to find your perfect red shade and you will love red lips! I swear it instantly changes my mood when I have red lippy on. :) As for fake tanning, I was super scared, but did it the first time following all the rules and applied a very delicate layer. Since then I am hooked! I love it! I'm the same as you with the fake tanning! I just have to wait til summer every year to get some sort of colour! Basically that whole posts sums up things I don't do, except for the red lips because I love rocking that! I've been trying to use the bronzer but I don't think it works out well for me. Really love this post idea, I used to be addicted to tan, now I never touch it! I'm totally with you on the red lips, bright eyeshadow and waxing! 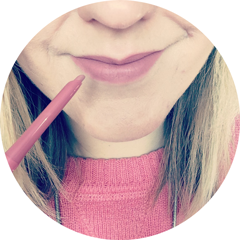 I really want to be a but braver with bright shades, but whenever I try I chicken out at the last minute and wipe it all off again!